Holidays with twins or more can be challenging, with double, triple or even more of all the baby and toddler essential kit like cots, highchairs and more needed. However, it’s not just about the amount of baby and toddler stuff, flexibility in your holiday accommodation is also key. All the owners and managers of these child-friendly holiday properties go the extra mile and can offer flexible accommodation for families with twins and multiples. They will happily move beds around and bring in cots etc to make sure your sleeping configuration works for your family too! Four fabulous child-friendly holiday cottages sharing play areas, barns, grounds and swimming pool in the beautiful Charente region in France. With flexibility for any configuration, Paula the owner is happy to re organise the rooms to suit requirements. She has six cots and high-chairs and lots of baby and toddler equipment. Child-friendly holiday cottage in the heart of North Devon with lots of farm activities for all the family especially the kids! Located in beautiful countryside and close to award winning beaches, the Exmoor National park and family attractions, this small farm stay has it all. With only one other holiday cottage you really will have a hands-on personal experience. These holiday cottages in the Dordogne in France can cater for two families looking for a holiday without having to live in each other’s space. Each cottage has its own equipment and can cater for families with twins, babies, toddlers and kids of all ages. Ideal for a group of up to 10 plus cots. The owners have young children, including a very young set of twins and so understand the needs of a family on holiday. These four holiday cottages are in Kent and are perfect for a group looking to holiday together, each family having their own space but there are plenty of social spaces where everyone can get together too. Animals, toys and games for all ages and a lake with a row boat to have a little fun. The owners have children themselves including twin littlies and 3 older children (toddler, 11 and 14), and so know exactly what is needed for a fab family holiday with twins and kids of all ages. This fantastic child friendly property is ideal for large families or 2 families holidaying together. It is one of 4 cottages that share a large fenced & heated pool, a games barn and a 2-acre walled garden. The beach is only 20 minutes away. The owners have 4 cots & high chairs plus plenty of equipment for babies and toddlers. All 4 of the properties have plenty of room for twins & multiples. This lovely toddler-friendly holiday cottage is ideal for families with twins as the bedroom is large enough to fit two cots. You will find five child-friendly holiday cottages to choose from at Hameau de Montengrand and the owners are happy to configure any sleeping arrangement that suits. They have plenty of cots and high chairs and baby and toddler paraphernalia too. All you have to do is unwind and relax in the stunning 30 acres of grounds and make use of the enclosed heated swimming pool, private gardens and lovely helpful owners onsite who offer services such as meal delivery, babysitting and pizza nights. This lovely child-friendly detached holiday cottage is perfect for a family of up to six guests plus baby. Within the grounds there is an enclosed heated swimming pool and spacious lawns and gardens with lots of play equipment. 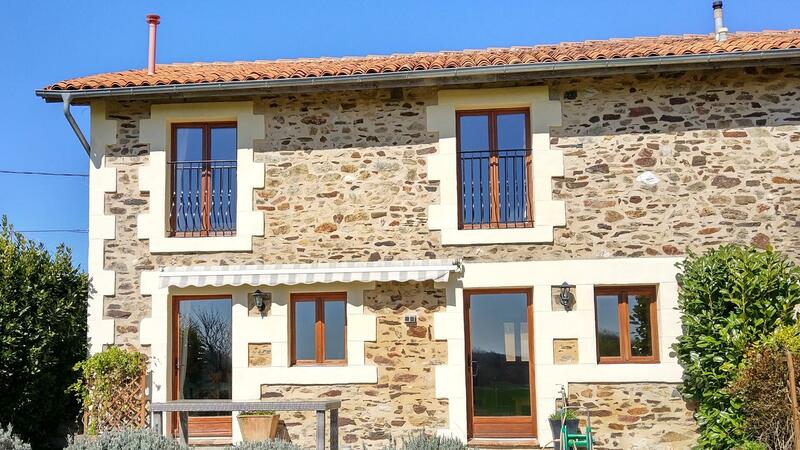 Located in southern Brittany these holiday cottages are ideal for a family holiday in Brittany.